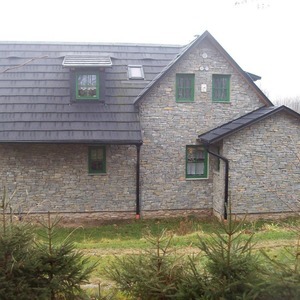 We provide stone-cutting and paving works from natural material. The group of stone-cutting works includes a wide range of production and installation of stone-cutting products. We are able to produce and supply any elements according to architects´ and investors´ requirements, from the simplest products to stone-mason works. We also participate in restoration and renovation of stone monuments. Our company carries out all types of pavements with split, hammer-faced and polished elements. We perform paving work in historical parts of cites frequently – including minor repairs, and partial or full replacements of original pavements. Recently, we have been performing more and more work for private customers – mostly the surroundings of family houses.